With fall just around the corner—enticing us with all its shiny, glitzy, new sartorial wares—it can be overwhelming and hard to focus on what’s worth actually worth investing in for the new season and beyond. 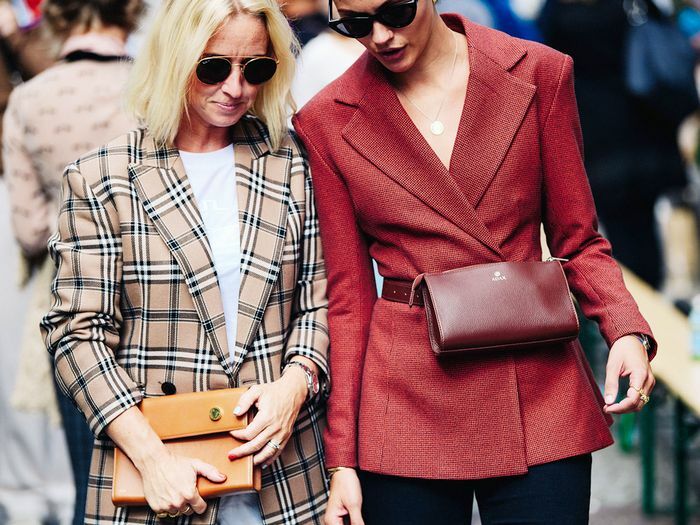 Luckily, we’ve done the hard work for you and scoured our favorite luxury retailer MyTheresa.com to bring you the must-have pieces that hit on some of the biggest fall trends. From hands-free bags to animal print-shoes and fall blazers that will last you a lifetime, scroll below for the designer pieces worth spending your hard-earned cash on this fall. Logos are a go-to trend for the new season. 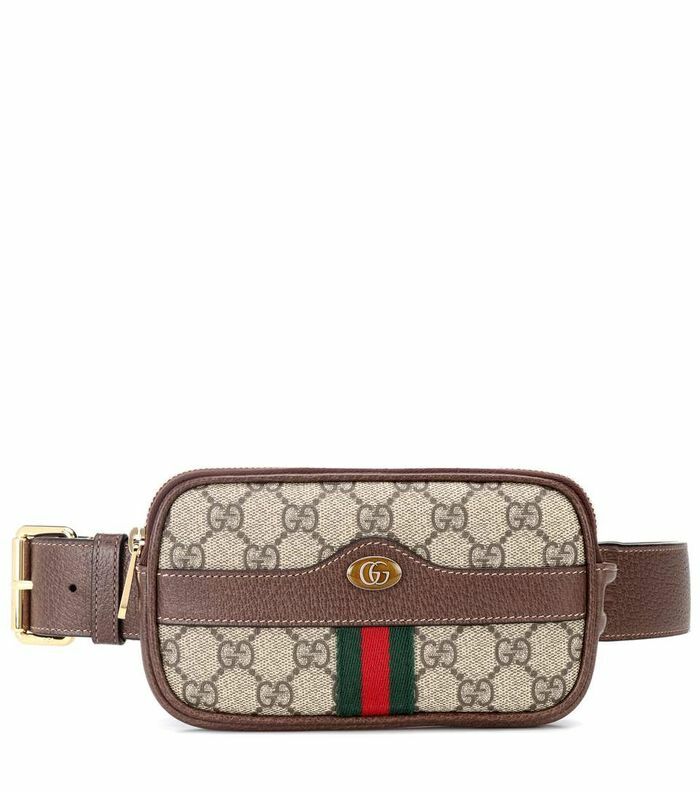 Wear your favorite designer front and center with a trending belt bag. The classic trench gets a modern update with fall's favorite fabric: leather. You'll be throwing this on over every outfit all season long. Chunky dad sneakers are sticking around for the new season. Update yours with this sporty silhouette in earthy shades of brown and gray. Sophisticated long gloves were seen all over the F/W 18 runways, proving to be the must-have accessory of fall. They may not be iPhone-friendly, but they're impeccably chic. One of the best investment pieces for fall is a plaid blazer. The heritage print is trending in all colors shapes and sizes. Wear with everything from midi dresses to denim. The unexpected color of the new season? Fuchsia! This tie-neck sweater hits the trend perfectly. Wear yours with jeans and animal-print shoes. If you haven't already heard, fall 2018 is all about animal print. Amp up your outfit with these chic (and walkable!) zebra-print pumps. Quality black cropped pants will last you a lifetime. These Gucci ones are perfect from desk to drinks and day to night. Fendi's most wanted logo is back. This structured silhouette in bold red leather will pair with printed dresses and classic denim alike. Viva la polka dot! We're dotty over Ganni's wrap maxi dress. Wear with sneakers and jeans during the day and black knee-high boots at night. When it comes to sunglasses this season, the more exaggerated and dramatic, the better. Wear this trendy '80s shape to add an instant dose of retro cool. Western-style boots are having a huge moment this fall. Style them with everything from skirts to skinny denim. A blouse for all seasons: This lace top oozes Victoriana, prairie-like charm and will look gorgeous tucked into a plaid skirt. Make a sophisticated statement in this fall-hued plaid skirt. Style yours with tan leather knee-high boots. We can't wait to wear this easy and effortless crossbody bag with every outfit now and later. So cozy you'll never want to take it off. Plus, the almond hue is super versatile. Your new season work shoes, found. Glitzy chandelier earrings were seen all over the fall runways. Dress up your jeans and tee with these stunning danglers or wear them with your favorite party dress. Channel fall's popular '80s vibe with this irresistible party dress. If you want to make a statement at every special soirée, this is the frock for you. Up next: the coolest accessories to try this fall.